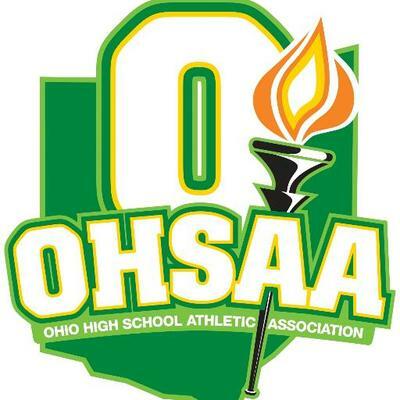 GAHANNA Massillon faced an early deficit. It faced a second-half comeback. It faced injury to one of its best players. Now, the Tigers will face three-time state champion Archbishop Hoban for the Division II state championship. Massillon earned its first trip to the title game since 2005 thanks to a 41-20 victory over Winton Woods on Friday night at Gahanna’s Wilbur C. Strait Stadium. It is the Tigers’ fourth title-game appearance, and first in Division II. “I’m really proud of our guys,” said Massillon coach Nate Moore, whose team scored 26 straight points in the second and third quarters to rally from a 10-0 deficit and improved to 14-0 while setting a school record for wins in a season. “They played a whale of a ballgame against a great football team. I’m really proud of them. The Tigers will lock horns against the 14-0 Knights on Thursday night at 7:30 p.m. at Tom Benson Hall of Fame Stadium. To get there though, Massillon had to exert a bit of revenge on a nemesis from its recent past. A year ago, Winton Woods overcame a 21-0 Tiger lead in the first half scored the final 56 points to win going away. A year later, the Warriors were the ones who were in possession of the early lead, only to see Massillon roar from behind. That didn’t mean Massillon wasn’t in for a little bit of early adversity. Winton Woods led 10-0 after the first quarter thanks to a 36-yard Yeri Velasquez field goal and a 3-yard Miyan Williams rushing touchdown. The Tigers, meanwhile, had just two first downs and 39 total yards of offense in that same time. Jamir Thomas would put Massillon on the board with a 15-yard touchdown run two minutes into the second quarter at 10-7. He would added a 1-yard run with 40 seconds left in the half to give the Tigers the lead for good at 13-10. Thomas, who would leave the game late in the third quarter with an injury, ran for 83 yards on 12 carries. Massillon would turn momentum totally on its side just 19 seconds later, when Turner’s pick-six provided it a 19-10 halftime lead. That lead would grow to 26-10 less than a minute into the third quarter when Aidan Longwell hit Tre’Von Morgan for a 58-yard touchdown. Longwell finished 14-of-27 for 210 yards with one touchdown and one interception. That interception, with Massillon leading 26-13 in the third quarter, was the only crack Winton Woods could find to attempt to get back in the game. After the pick, the Warriors faced a 3rd-and-29 from their own 24. MiChale Wingfield hit Williams on a screen pass for 75 yard to the Massillon 1. On the next play, Williams scored his second touchdown of the night to pull Winton Woods within 26-20. Williams, who rushed for 2,742 yards over the first 13 games, finished with 82 rushing yards on 20 carries. With the Tigers’ own All-Ohio running back, Thomas, sidelined for the final quarter, the ball went to junior Zion Phifer. Phifer didn’t disappoint. Phifer’s 13-yard run on the second play of the fourth quarter gave Massillon a two-score lead again at 34-20 after Longwell hit Dean Clark for a two-point conversion. His 1-yard run with 1:34 remaining in the game gave the Tigers a 41-20 lead. A 21-point lead which Massillon rode into the Division II state championship game.